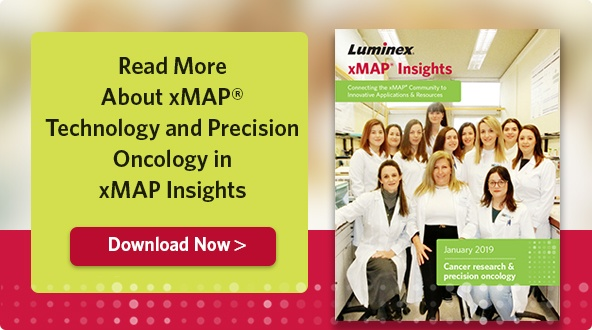 When you want an assay that can detect nucleic acids, you’ll likely choose the high-quality Invitrogen™ ProcartaPlex™ and QuantiGene™ Plex assays from Thermo Fisher Scientific, a Luminex partner. The QuantiGene assay uses branched DNA (bDNA) technology, relying on signal amplification instead of target amplification for optimal quantitation of transcripts. One of the scientists behind the design and development of the QuantiGene assay is Ankit Patel, a scientist in bioinformatics services at Thermo Fisher. We caught up with him to learn more about his work and the assays he develops. Q: What do you do at Thermo Fisher? 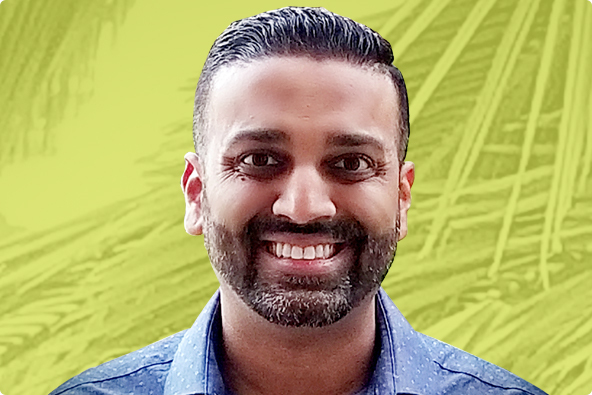 Ankit Patel: I would describe my primary role as bioinformatics services, where we work directly with distributors, sales, marketing, and/or customers to help design new assays. Clients will approach us with their projects, and we work with them to develop the best assay possible to answer their experimental questions, including designing DNA oligo probes to be used in the assay. The oligos are the dynamic portion of the assay, and the oligos are designed to specifically detect the target genes of interest. I have been working with the bDNA technology for 15 years. Q: Tell me about your professional journey. Have you always supported QuantiGene assays? I know Affymetrix and Panomics were the originators of this product. AP: This was my first job out of college. I was hired by Genospectra in Fremont, California, the city where I grew up. Genospectra merged with Panomics, which then merged with Affymetrix, which then bought eBioscience … and then we were acquired by Thermo Fisher Scientific. Almost 15 years later, here I am, still in bioinformatics services. Q: What do you like best about your current role? AP: Every day is a different day. There is a lot of variety in my role, which keeps things fresh. I also get to work directly with customers, so I get to hear and see a lot of cutting-edge ideas in our industry. Q: What is an initiative or project you’re especially proud of? AP: It’s hard to narrow it down to just one! Monsanto used our assay during their testing of a double-stranded RNA that is being introduced into corn to help save honey bees. Q: What is something most people don’t know about a QuantiGene product, instrument, or service? AP: The true beauty of the assay is that there is no need to purify the target RNA or DNA, and it works with classically difficult samples such as FFPE tissue samples. Additionally, it is a very robust and highly accurate assay. We also have solutions for high-throughput screening, and QuantiGene is the ideal solution for secondary screening for compounds that target genes. Q: What current research or clinical trends in the industry are you excited about? AP: Hepatitis B is intensely studied these days, and we have created solutions for the research world to better understand how to treat—or even, hopefully, one day cure—a patient with this virus, which is epidemic in many parts of the world. Q: If you could solve any scientific challenge or human health crisis, what would it be? AP: For human health, I would say better therapies for diabetics. I was born here in the US, but my ethnicity is Indian, and there are many members of our community and of my family that struggle with this disease as well as other metabolic syndromes. AP: As the father of two little toddlers, free time is hard to come by. Whenever I can, I just enjoy putting my feet up and relaxing a bit, and watching football or attending games. The customer will have a direct line to the bioinformatics team to work on the panel list and special design requests. We handle all of the oligo designs. It’s a full service. It helps to use multiple reference/ housekeeping genes in your panel for more robust data normalization, in case one of them is being affected by a treatment or condition. Don’t worry about purifying any RNA. QuantiGene assays work directly from lysates or homogenates and work particularly well with difficult samples, such as FFPE tissue sections. Make sure you have the right equipment: Luminex instrument, hybridization oven, magnetic plate washer, etc. Be prepared for all of the data. You can measure up to 80 genes simultaneously, so there are lots of insights to be gained. If you don’t know which targets you want to include in your custom panel, we have a pathway search tool in our online panel configurator to help you. Alternatively, you can start with one of our predesigned panels that are composed of carefully curated gene targets specific to a particular disease, pathway, or research area.